Since 9/11, 50,581 service members have returned from war with visible injuries and an estimated 320,000 have returned with Traumatic Brain Injuries. Medical professionals claim that over 20% of service members are diagnosed with exhibiting symptoms of PTSD. 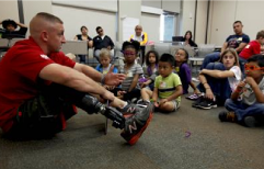 While we're making amazing strides as a country in supporting our wounded warriors, there has been little time or resources available to support the children. 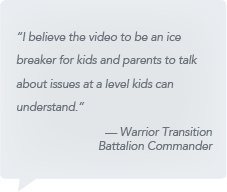 Military children have a difficult time processing the experience of a parent coming home wounded and don't know how to communicate these resources. 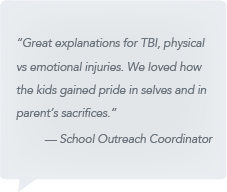 Our Support for Kids of Injured Heroes resources help military kids and their families pave the way to building quality, thriving family support systems. According to the Study on Children of Seriously Wounded Service Members: A Needs Assessment, The Comfort Crew for Military Kids is one of twelve "organizations that stood out in their focus and efforts to provide needed social support and training services to children and families of seriously wounded service members." The Taking Care of You! 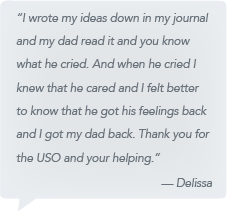 Support for Kid of Injured Heroes Program addresses common issues that children ages 6 and up expeirence when a family member returns from a deployment with a visible and/or invisible injury. A Taking Care of You! 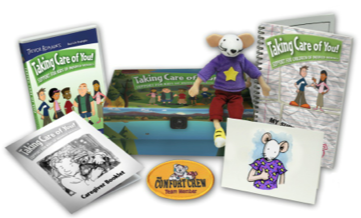 Support for Kids of Injured Heroes Kit full of resiliency building strategies; an animated DVD to let kids know they aren't alone, a journal to express their feelings, a family guidebook for parents, and a plush mouse to provide comfort and companionship. Follow-up support every 45 days for a year following the delivery of the kit. Video on how to most effectively utilize the kit components, survey for collecting data on our impact, activity pages, and other recommended resources. Access to our online program materials, including videos on moving and divorce. Free premium membership to Tuk-Tuk-Media.com, a website providing meaningful entertainment for children. Parents receive monthly videos by children's motivational speaker and best-selling author Trevor Romain.  Check in to see where we are with meeting our goals in helping children of wounded warriors!